Offering log home enthusiasts practical advice to make their dream home a reality! Make the right choice for your log home! Log Home Living’s Annual Buyer’s Guide, the most comprehensive resource to buy and build your dream home, takes you from the planning stage through finishing touches.This complete directory also offers tips on energy efficiency, preservation and maintenance, plus how to get the most for your money. Special highlights include floor plan ideas, all new resource directories, and home owner stories and photo tours. 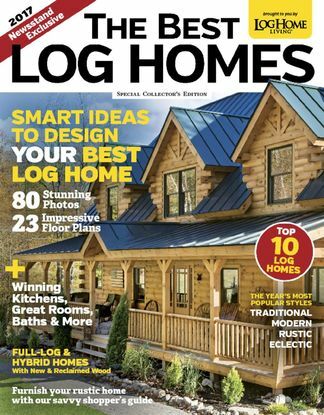 Be the first person to tell us what you think about Log Home Living: Annual Buyers Guide and you'll save $5 on your next purchase! 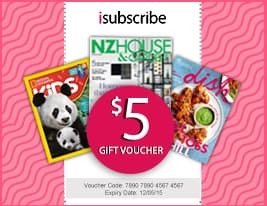 https://www.isubscribe.co.nz/log-home-living-annual-buyers-guide-digital-subscription.cfm 15005 Log Home Living: Annual Buyers Guide https://www.isubscribe.co.nz/images/covers/nz/541/15005/square/LogHomeLivingAnnualBuyersGuide18720173397.jpg NZD InStock /Digital/Design/Architecture Offering log home enthusiasts practical advice to make their dream home a reality!